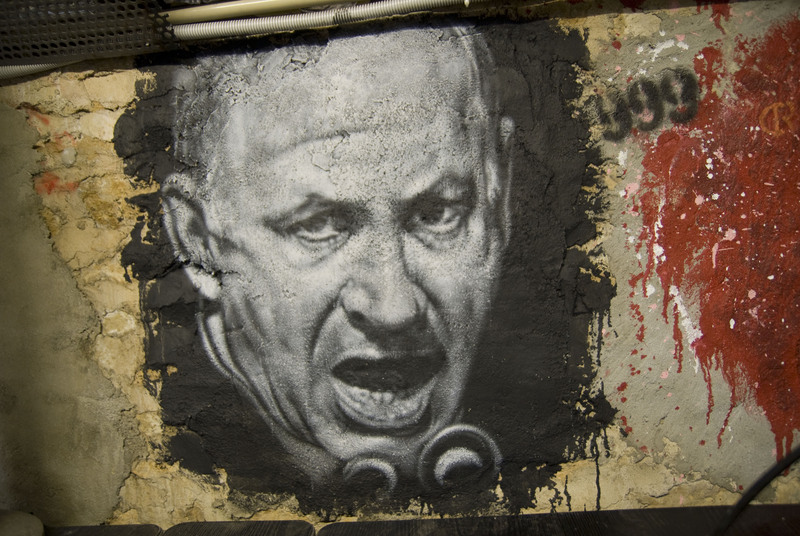 For the past 50 years, Israel and Palestine have been less than friendly neighbours. Conflicts stem from border lines between Israel and Palestine which reflect war outcomes from 1948 and 1967. The outcome of both of these wars prompted the Jewish authority to cast a cloud over two largely populated Palestinian territories: the Gaza Strip and the West Bank. Two solutions have been proposed to help amend the two states such as the famous “two-state solution” and the latter “one-state solution.” A two state solution indicates that both Israel and Palestine would agree to be two separate states: a Jewish one and a Palestinian one. Among the solutions this has been the more popular choice considering it is a solution that lets the two states run their countries differently. On paper this seems viable, but due to terms of the solution, an agreement hasn’t been met yet. Some terms include where the border will be divided, whether or not Jerusalem will be the Palestinian Capital or the Jewish one, the status of Palestinian refugees returning to what is now Israel, and many more. 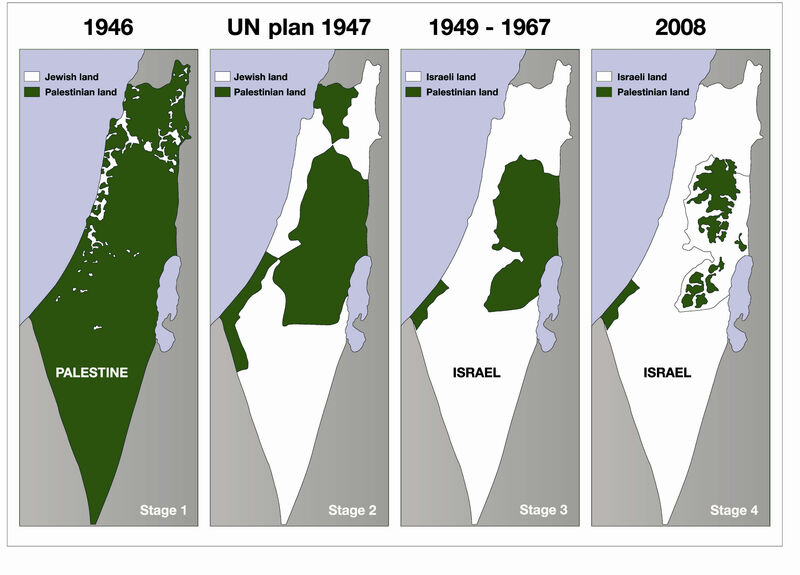 This is where some may look towards the one-state solution which differs in two versions. One which will turn both Palestine and Israel into one state which well induce internal conflict within that state and another where Israel’s Jewish character is kept by denying Palestinians full rights. Unfortunately, Israel’s right-wing coalition Prime Minister, Benjamin Netanyahu, expands Israeli settlements to an ignorant degree primarily on the West Bank. The Israeli settlements corrupt the Palestinian-land where a majority of the Jewish community propose to encompass the entire West Bank as Israeli territory thus breaking the foundation of a Palestinian community on the West Bank. The more settlements Israel creates, the more unlikely a peaceful solution will come forth. The U.S. plays a big role in supporting Israel with aid coming in forms of billions of dollars, diplomatic backing and general support from the American Public. Thanks to Donald Trump’s inauguration, right-wing Israeli supporters were ecstatic considering Trump’s stance on Israeli stating “When I become president, the days of treating Israel like a second-class citizen will end on day one.” Oddly enough, during the confusingly vague press conference between Trump and Netanyahu, Trump showed a little less support for Israel ideals than one would expect. When under the topic of peace between Israel and Palestine, Trump stated: “To be honest, if Bibi and the Palestinians, if Israel and the Palestinians are happy – I’m happy with the one they like the best.” This was followed by awkward laughter from the audience but primarily because of how vague, flimsy and downright deplorable it was. It’s clear that Trump did not want to awkwardly bash Israel for unlawful settlement creation right in front of Netanyahu nor did he want to show that America fully supported it so he just tried to dodge the bullet however he could. This is a problem because it belittles the seriousness of the settlement situation as a whole by undermining the need for a peaceful solution such as the two-state solution. A support for a two-state solution served as part of a continuing U.S. Middle Eastern Policy but Trump never openly endorsed it which leaves the people of not only Israel and Palestine but also questioning what Trump truly believes in. However, in the press conference he openly told Netanyahu to “hold back on settlements for a little bit,” which leads us to believe that he’s against the settlements but from the way he talked about the situation beforehand represents the U.S. as a bystander of the Israel-Palestinian conflict. In talk of a peace solution involving Palestine and Israel, Netanyahu is more concerned with U.S.-Israeli relations than opening an ear to its Palestinian neighbour. Future Israeli settlements can only be lawfully built with the consent of the Palestinian state but Israel would most likely have to give up an equal amount of land in exchange. Unfortunately, Palestinians have no means of countering unlawful settlement building on the West Bank. In a time where Palestinian’s need a voice the most, the U.S. President can’t even make a clear statement regarding a peaceful solution between the two states. However this doesn’t mean that they are alone. 2016 U.S. Secretary of State, John Kerry, is an advocate for Israeli-Palestinian peace. In a secret summit organized by Kerry on February, 21, 2016, Netanyahu, Egyptian President Abdel Fattah el-Sissi and Jordan’s King Abdullah II were in talks regarding a peaceful solution for the two states. Kerry proposed that the region of Palestine would recognize Israel as Jewish state but in return would have Israelis withdraw from occupied land. Unfortunately, Netanyahu did not believe this proposal would even work, an in the end rejected the purpose of the meeting as a whole. Palestinian President, Mahmoud Abbas was not a part of the summit, let alone a Palestinian representative so one cannot say how the Arabs would react to this proposition. Although the meeting was a failure, John Kerry still acted as a voice for Palestinians in a time where getting Israel and Palestine to talk peace is near impossible. After the U.S. decided not to vote for lawful Israeli building in a U.N. resolution, John Kerry wanted to ensure “Israel’s future as a Jew and democratic state” but also wanted to keep the thought of a two-state solution alive. The hard truth that both sides have to realize is that they have to give up something in return for peace and John Kerry did his best to act as one of the few mediators for this conflict. If the tension between these two troubled states go unnoticed the more likely it is that a peaceful agreement will evaporate. 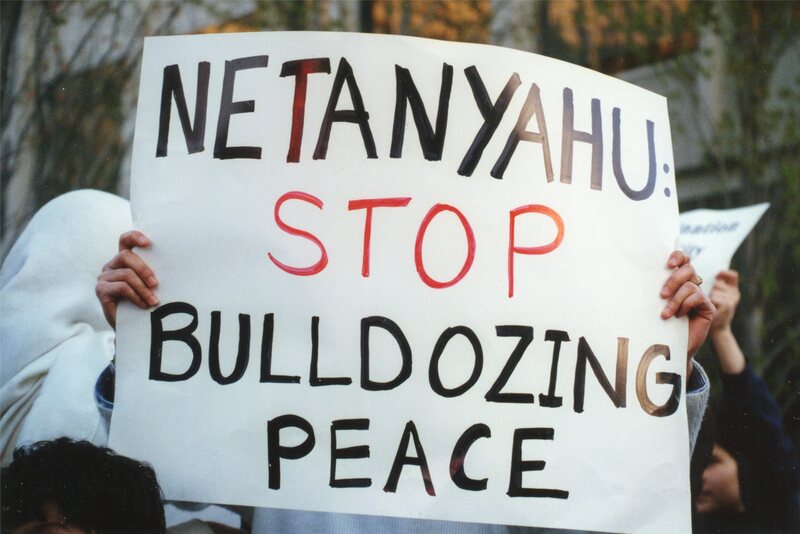 Netanyahu must not turn a blind eye to the violations he has committed under the Fourth Geneva Convention, and must realize that building settlements in occupied Palestine territories does nothing to help bring peace between Israel and Palestine. If Israel pushes settlements, it could rally a more worldwide sympathy for the Palestinian cause which was once in the form of an international boycott movement against Israel. To the uninformed westerner, the BDS served as an outlet to get them more informed on the situation. Westerners and even liberal zionists, who wish to boycott the Israeli economy on the west bank, are more open to the idea of what a two-state solution upholds. Not only Trump, but other world leaders must take a serious stance when dealing with Israeli-Palestinian negotiations because if Abbas and Netanyahu can’t see peace, someone may have to show them.